It’s November! With Halloween over this week, it’s time to start thinking about Thanksgiving and Christmas. Such a fun and busy time of year, there are so many seasonal decor projects out on pinterest right now and so I was inspired to create my own. I’ve been painting with my daughters in the afternoon and I decided to start working on some printable place cards, I was designing them with Thanksgiving in mind but the colors cater to other seasons as well. 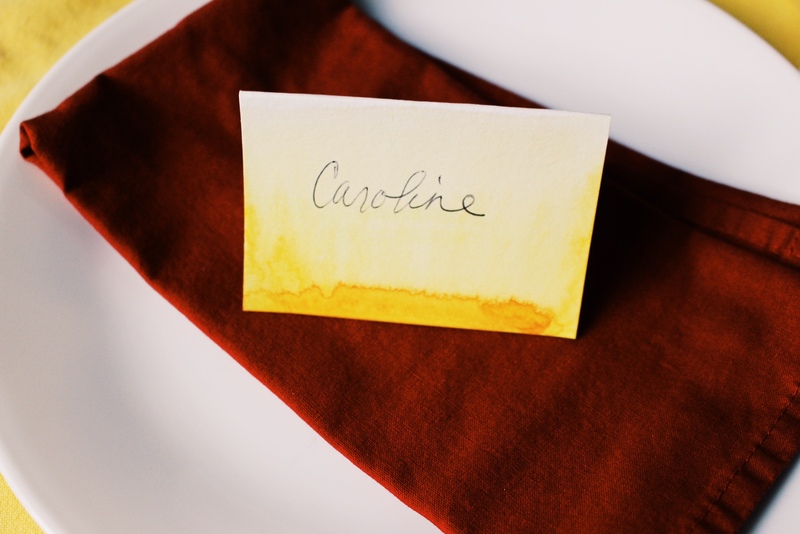 Place cards are really really easy to make and if you feel inspired to do a family DIY project this week you could get out the watercolor sets and some watercolor paper and follow my Watercolor Blends video. This is a great way to bring the kids in on helping get ready for the holidays and a good little art project too. 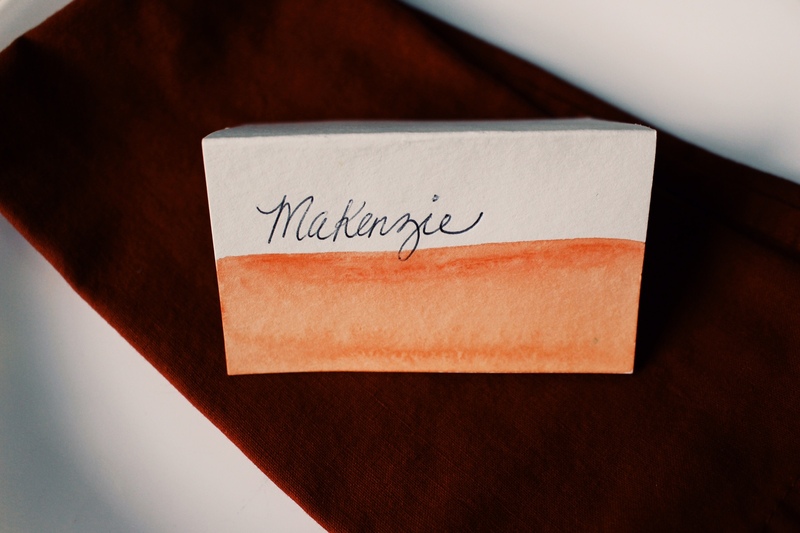 I used the concept of blends to make my place cards and I know you can do it too. An easy process would be to follow the video tutorial and let the kids make the place cards while the moms sip some coffee and assist! When the project dries, simply cut the place cards to size and fold them in half. On Turkey day you can fill in the names of the guests with a pen or thin-line sharpie and that’s it! For a simple Ombre effect, just use one color in your blend and slowly add water to gradually blend out the color to the blank paper. 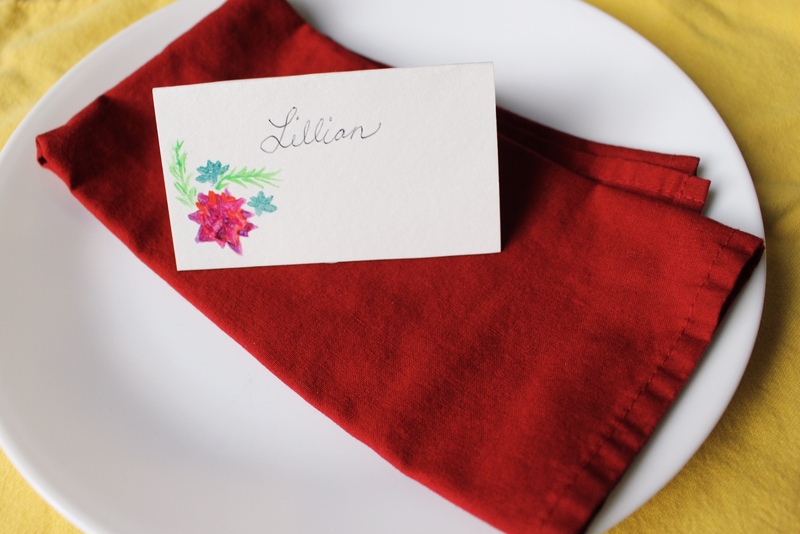 Try this a few times with a few different Fall colors and then you can chose which place cards you like the best. 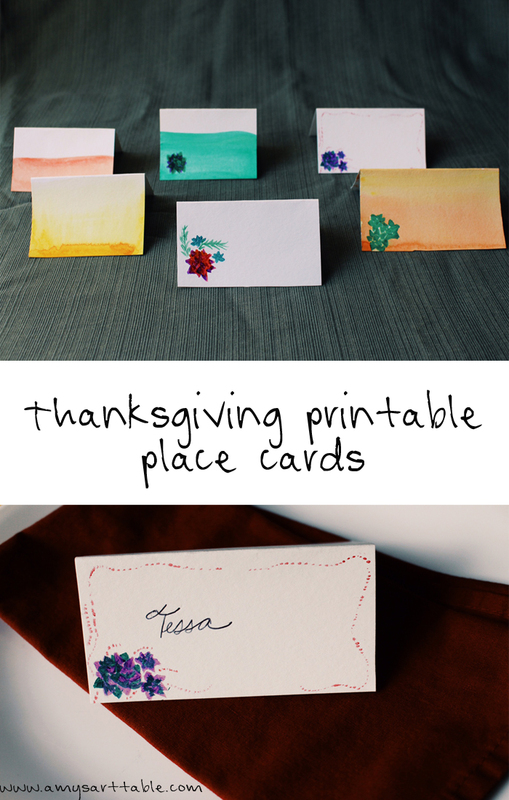 If you aren’t up for a project this week, I’ve also included some free printable place cards for you to print on card stock and use for Thanksgiving! Simply download the file on the freebies page, print out the cards on 8.5×11 cardstock and trim the along the guidelines. 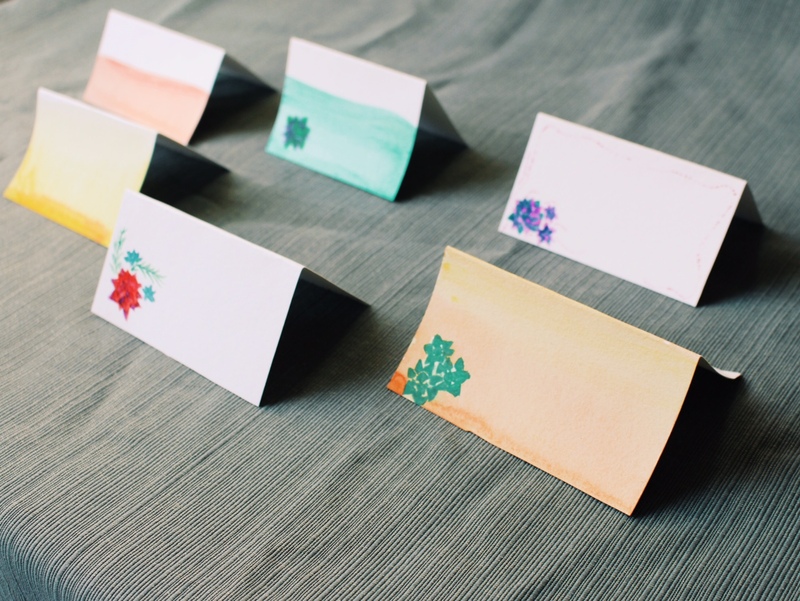 After the cards are all trimmed, fold them in half and add names of your guests!